Robert Cook started Green Acre Sod Farm in 1972. He started with 40 acres and now has 18,000 acres in production. In Bixby and Haskell, OK, there are approx. 10,000 acres with another 6,000 along the Red River in Texas and 2,000 in Mount Vernon, MO. In addition to the three farms, Green Acre Sod has eight retail stores located throughout Oklahoma. Green Acre Sod currently owns and operates 48 semi’s for large Oklahoma sod delivery and installation and 20 additional trucks for smaller deliveries. 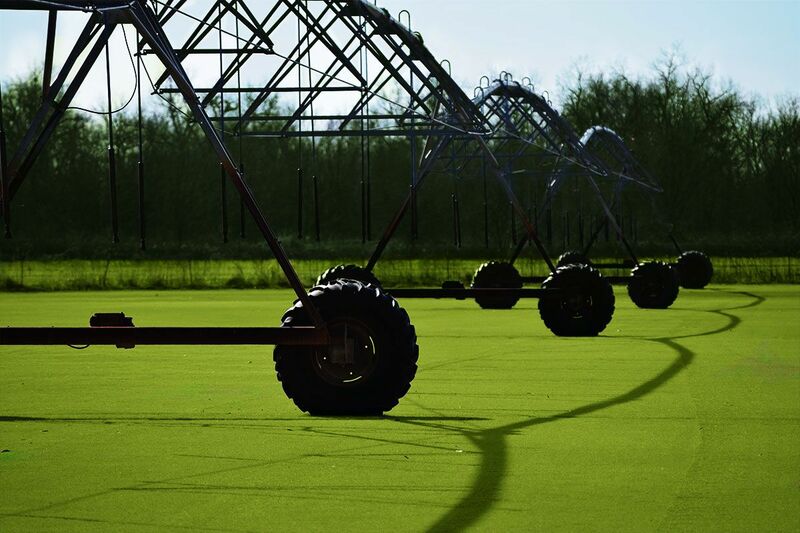 It employs 95 farm and retail employees to accommodate any job from golf course installations to providing sod to an Oklahoma residential lawn. Members of: Home Builders Association of Tulsa, Turf Producers International, and the Oklahoma Sod Producers Association. Green Acre contributes yearly to Habitat for Humanity, Oklahoma Special Olympics, and the American Diabetes Assoc.